Bioclimatic pergola is an innovative patio covering that uses advanced technology to optimize and enhance your outdoor living space experience. 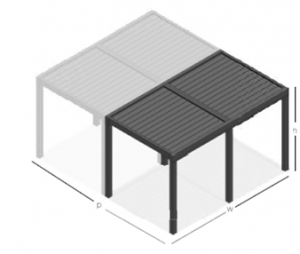 It is made of a robust aluminum construction and louvered roof that provides optimal protection from the elements. 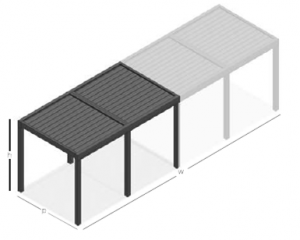 A unique feature of terrace pergola is a roof system with aluminum lamellae that can be fully opened, closed or tilted to the desired angle. It gives you a full control of the amount of sunlight and fresh air that enters inside the pergola. 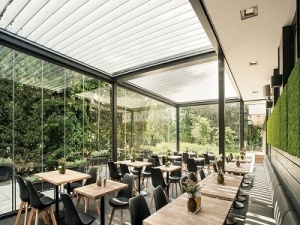 Bioclimatic pergolas also feature operable side windows that will not only expand the outdoor area but also prolong the summer season and use of the terrace in restaurants, hotels and private homes alike. Why choose a bioclimatic pergola? 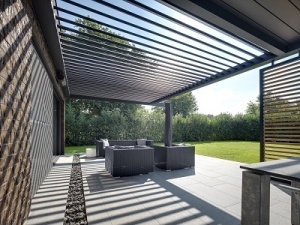 Bioclimatic pergola is designed to make use of as many natural factors as possible to create a pleasant microclimate in your terrace, such as utilizing passive ventilation and reducing unnecessary energy consumption. All of our bioclimatic pergola roofs have a slight slope which allows all rain water to be drained through the grooves in the lamellae to the front beam and then led downwards through the supporting posts. Even with the roof slightly open (up to 5°) rain water does not enter inside the pergola. However, it will allow fresh air in even when the windows are closed. The lamellae used in bioclimatic pergolas are made of hollow extruded aluminum that is durable and resistant to environmental factors. The patented rubber gasket integrated in every slat ensures that rain does not penetrate the roof. At the same time, the gasket minimizes noise from the wind. Covering the sides of your pergola will allow you to enjoy summer season considerably longer. 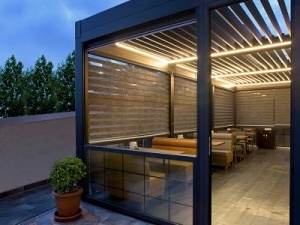 Additionally, you can protect the terrace from insects by installing insect screens. 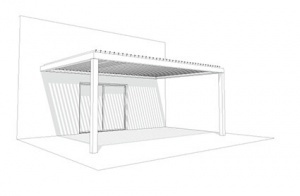 This type of modular bioclimatic pergola can be self-supporting or mounted on the wall of a building. Therefore, you can plan your pergola in any space. Bioclimatic pergola roof lamellae are fitted with modern electric motors. 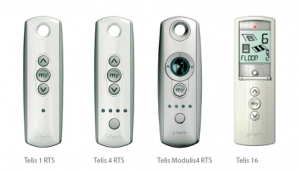 You can operate them (open, close or slightly open) with a wall switch, remote control, smartphone or a tablet. For the ultimate level of comfort we offer programmable automatic control which means that pergola is operated automatically depending on weather conditions with the help of smart solar, wind and rain sensors. The lamellae will get automatically adjusted as the sun changes its position throughout the day and close completely if it starts to rain, so you never have to worry about outdoor furniture getting soaked. 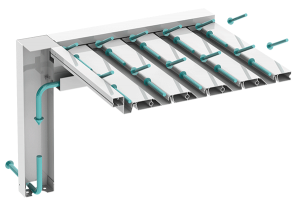 Pergola is operated by a completely silent low-visibility 24 V motor that is mounted between lamellae and the main construction. You can choose from two types of lighting for your bioclimatic pergola: a LED bar on the sides of the pergola frame or LED lighting elements on the slats themselves. Such LED elements will illuminate the entire roof, create a pleasant ambience and provide enough light in the dark. You can also opt for dimmer-controlled side RGB LED elements and adjust the color and intensity of your lighting according to your mood. For those who wish to use their walled pergola all year round we recommend installing infrared patio heaters. 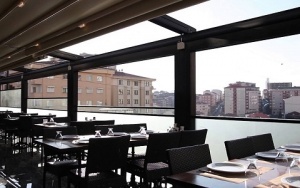 Terrace heaters are ideal for both private and commercial spaces such as cafes, hotels and restaurants. 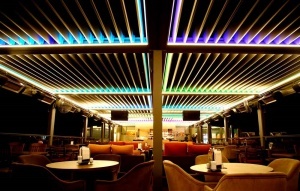 The heaters will extend the season of outdoor cafes and restaurants and thus increase the flow of customers and revenue. Read more about patio heaters here. We can perform an evaluation and consult you on different types of pergolas to best suit your needs. Send us an inquiry or call +370 640 12345 to receive an individual offer! 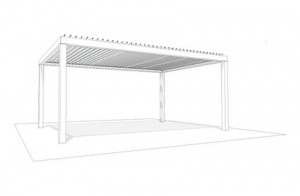 • Solid - a weather-resistant pergola designed for larger spaces that is made of aluminum structures. Lamellae in the roof can be shut or opened to the desired angle. We can perform an evaluation and consult you on different types of pergolas. Send us an inquiry or call +370 640 12345 to receive an individual offer!